A happy baby is at the end of this rainbow! 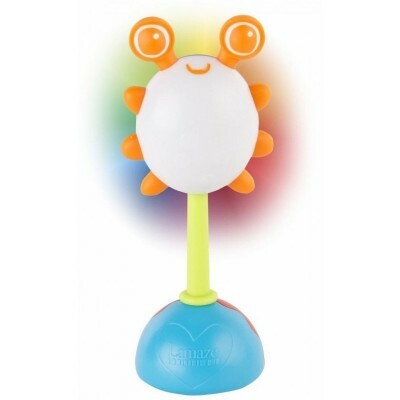 Specially-designed for little hands, the Rainbow Glow Rattle features an easy-to-grasp handle with a happy little bug on the top that changes colors with a light shake. Watch in delight as the bug changes from blue to red to green! Featuring soft teething eyes and a twisting base, baby will quickly find a favorite toy in this rattle.